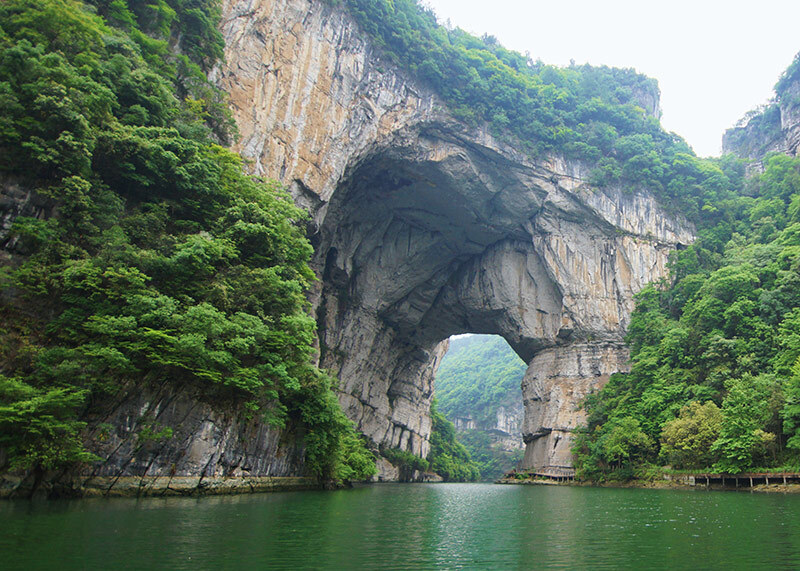 Yunmentum Bridge in Guizhou Province, China. 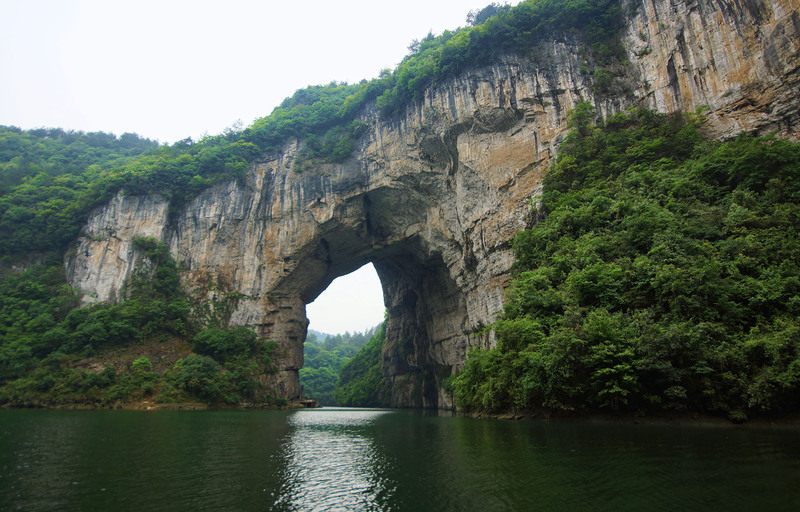 Yunmentum Bridge is located about 40 km east of the large city of Zunyi, which in turn is about 145 km north of the provincial capital and largest city, Guiyang, in Guizhou Province, China. A span of 213 feet was measured using a laser rangefinder by Gunter Welz in 2013. Photo above shows the west side of the arch. 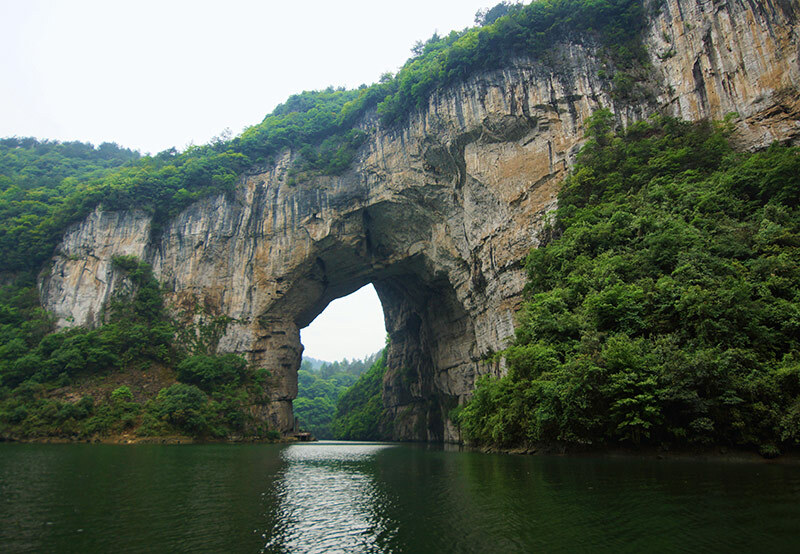 Photo below shows the east side of the arch.